We only build Cedar tubs and are committed to building the very best. All of our tubs are available in a traditional format with natural Cedar surfaces on both the interior and exterior of the tub. Delivering on our quality promise requires starting with the finest materials. We buy clear Cedar lumber that is sawn, dried, and stress-relieved to our specifications, from select sources on both coasts. Our tensioning band assemblies are fabricated from either Stainless Steel, Copper or Bronze and all of the fasteners used to assemble our tubs are marine grade Stainless Steel. System components for our electric, gas and oil-fired tubs are provided by Hydroquip and Raypak; each of these companies is an old-line manufacturer of high quality pool and spa equipment and each has an excellent national product support system in place. We utilize a state of the art CAD/CAM system to develop the geometry for our tubs and to transfer that geometry to the woodworking machinery used to machine our wooden tub components, assuring precise fits at assembly. Our craftsmen painstakingly transform these materials and components into finished tubs; their trained eyes and hands artfully mix grain patterns and arrange color variations to combine the natural beauty of Cedar with the elegance of fine wood joinery and precision metalwork to complete our understated classic designs. All of our natural Cedar Tubs are available fully assembled and factory finished. In addition to our Natural Cedar Tubs, we also offer Tubs that are constructed utilizing a composite cold-moulding process. This process has been practiced and perfected during the last several decades by custom yacht manufacturers and involves the use of specially formulated epoxies and multiple layers and types of fiberglass cloth to assemble and then encapsulate a wooden structure (tub). The resulting composite structure gains strength from the process, is not affected by chemicals, and is totally waterproof. Best of all the encapsulation is completely transparent allowing an unimpeded view of the underlying wood grain and its coloration, as well as fine joinery and construction details. Our standard cold-moulded offerings reflect the styling and materials of our traditional designs. We do offer, on a custom basis, untraditional wood selections, foam cored high “R” factor laminates which we construct for superior heat retention, and Tubs constructed in unusual shapes. The combination of natural and man-made materials, inherent in the cold-moulding process, makes some very beautiful and interesting projects possible; we are expanding our offerings in this area all the time. A cold-moulded Tub affords it’s owner the warmth and beauty of a meticulously finished wooden Tub, but with the convenience of modern materials. The process is exacting, however, and cold-moulded Tubs must be finished at the factory . We currently offer three standard tub lines; Wood-fired Tubs, Conventional Tubs and Spas and Exercise Tubs. They are all available in a variety of sizes and with features to enrich any lifestyle. Regardless of the size or model, or the features that you select, each tub we build is assembled to the same exacting standards. For those who have never had experience with a Cedar Hot Tub, the question most often asked is, “Are wooden Tubs really practical?” Technically speaking, Cedar’s aesthetic appeal is just a bonus. Cedar is a time tested, natural material that has proven ideal for constructing hot tubs. Its special properties have been known for hundreds of years and were revered by generations of coopers who used it to construct water storage tanks and silos. The first hot tubs in America were made from either Cedar or Redwood and many people believe the best ones still are. The wood is light in weight but strong in service. When Cedar is shaped or moulded the resulting surfaces are smooth and splinterless. When it is machined and fabricated into a container for water, it is self-sealing. Dry Cedar feels delicate to the touch; wet Cedar feels silky and luxurious. Cedar is durable because it is infused as it grows with natural preservatives that make it resistant to rot and decay. This durability is frequently demonstrated to us as we are often called upon to refit existing tubs with modern equipment. Some of the tubs that we have updated have been 40 to 50 years old and appear, after refitting, to be ready for several more decades of service. Cedar is also an excellent insulator which, in the context of hot tubs, is a very desirable trait. More insulation means less heat loss; so we build our tubs with sidewalls and floors that are 1 ¾ inches thick, 40% thicker than the 1 ¼ inch material found in most competing brands. One of our tubs, with a properly fitted thermal cover, loses very little heat even during our harsh New England winters. When compared with fiberglass or acrylic tubs of equal capacity, the superior thermal characteristics of cedar will nearly always translate into lower operating costs. 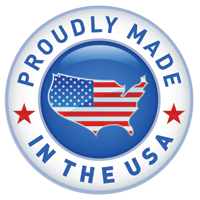 See what our customers are saying about Maine Cedar Hot Tubs.